How’re you all doing, Boards?! The Wafflemeister is here again to try something new! A review! 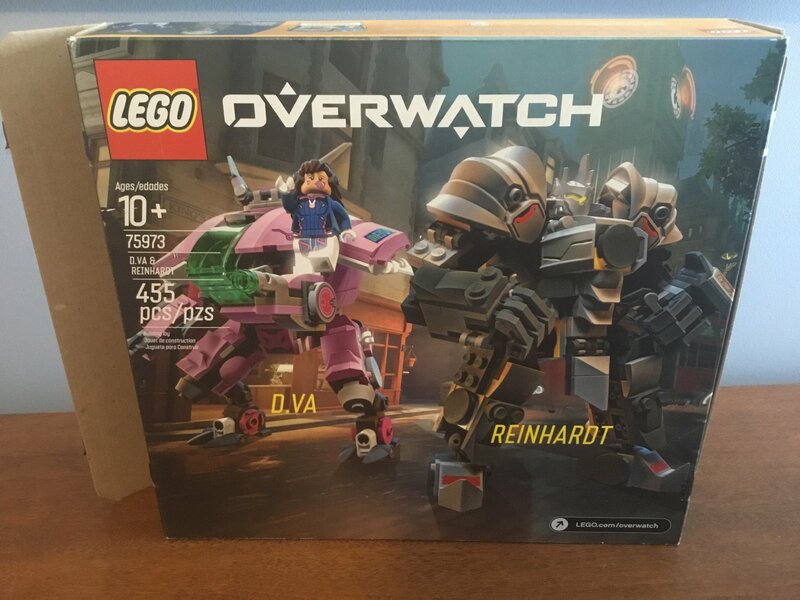 This is a set I’ve been waiting for since LEGOverwatch was revealed. I’ve nicknamed this set “D.Veinhardt” (I promise it’s not supposed to be a ‘ship name), just because the names work so well in my opinion. There’s quite a bit of stuff to cover, so I’ll have a summary at the end. Sorry, guys, I had worked an hour or so on this intro just to learn that the Boards don’t support iMovie projects... Here’s a link to the temporary intro that most likely will get updated. If you like it, that’s great, if you don’t, it’ll probably change. 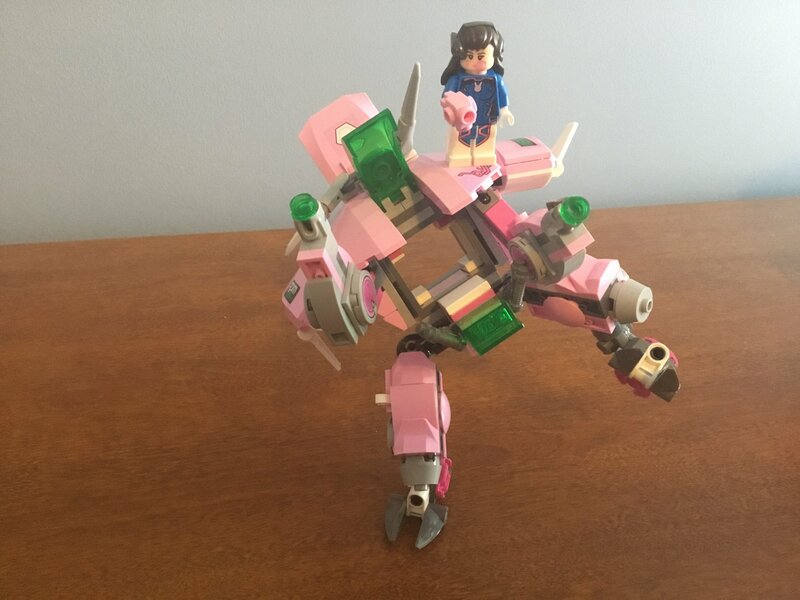 Set 75973: "D.VA & REINHARDT"
There is a lot to go over, so the only way to review this is one piece at a time. A review wouldn’t feel complete without the box, so here it is. 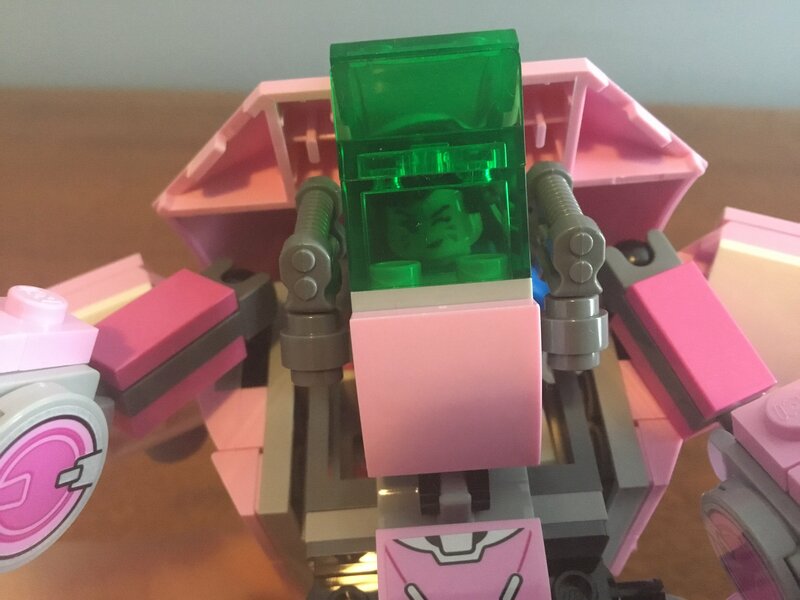 It’s got two fronts to it, a new thing LEGO is doing for the Overwatch line. 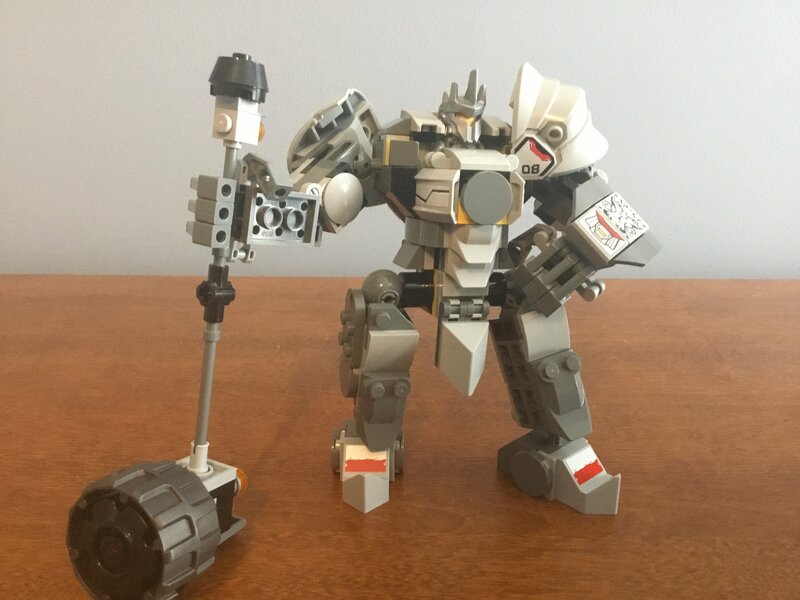 I actually don't really like the first side, it just makes Reinhardt look derpy. 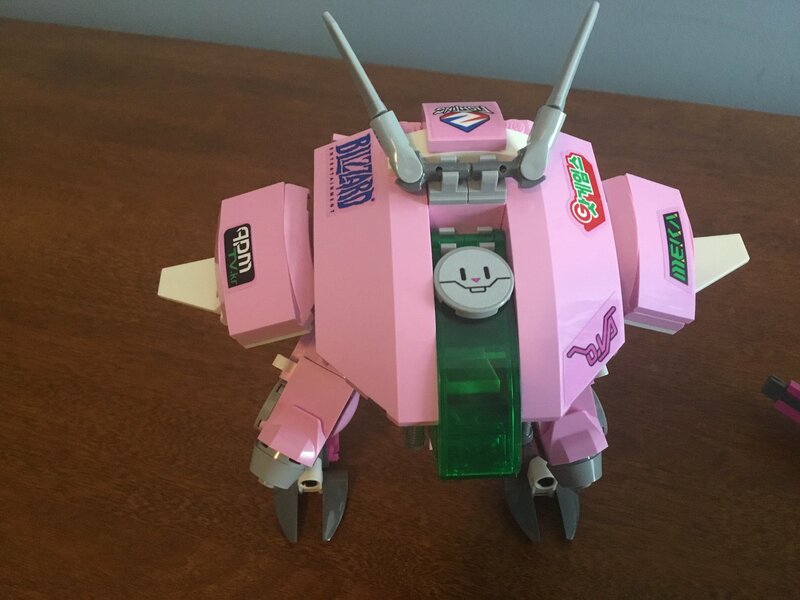 D.Va looks fine. I guess. Just a little plain. Numbani in the back is cool, though. The King's Row front I prefer, as each is just a little more dynamic. I can't tell if D.Va is referencing the "Peace" victory pose or not, but I like it nonetheless. Reinhardt also seems to be referencing a victory pose, feel free to tell me whether I'm wrong or not. Anyways, I like it a lot more. Here is Mini-Hardt, wielding his mini-hammer as well as his helmet, hair, and token/medal/thing. The hammer is neat, though since you build it in bag 2, I’ll wait to talk about it then. 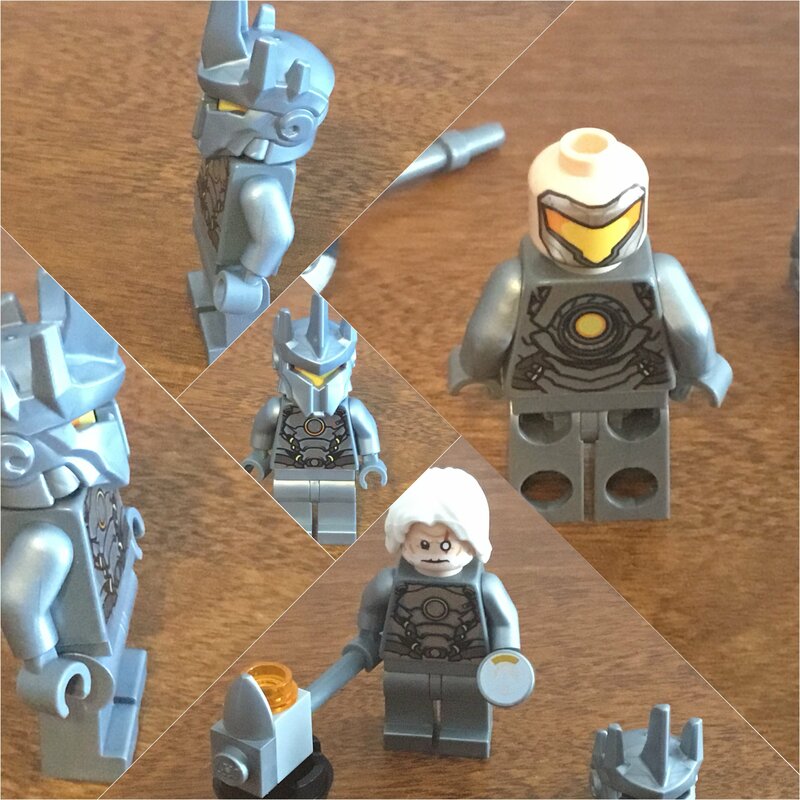 He has really cool face designs on either sides (I’m willing to bet there will be plenty of custom minifigs with that space visor). I have seen the old face confused with Odin twice now He has his armor printed on either side, with silver arms, torso, and legs. Besides his front and back, he has no printing neck-down. His hands are a dark gray, probably for budget. Iron Spider from the “Rhino and Sandman Super Villain Team-Up,” another set I own, has gold-colored hands, so we know the lustrous hand colors are possible. And now that I’ve talked so long about hands, I want to talk about the helmet, one of my favorite new pieces in this set. So, the first thing I’d like to say is just how accurate this is. The feet, while a little elvish, look and feel great. The fact that they have ball joint ankles allows for great poseability. One recolor I love is the gray ratchet joints at the hips. While they still are asymmetrical, they look much better than the gray and black ones, like the IW Hulkbuster. Which I may reference a lot, because the two are very similar. 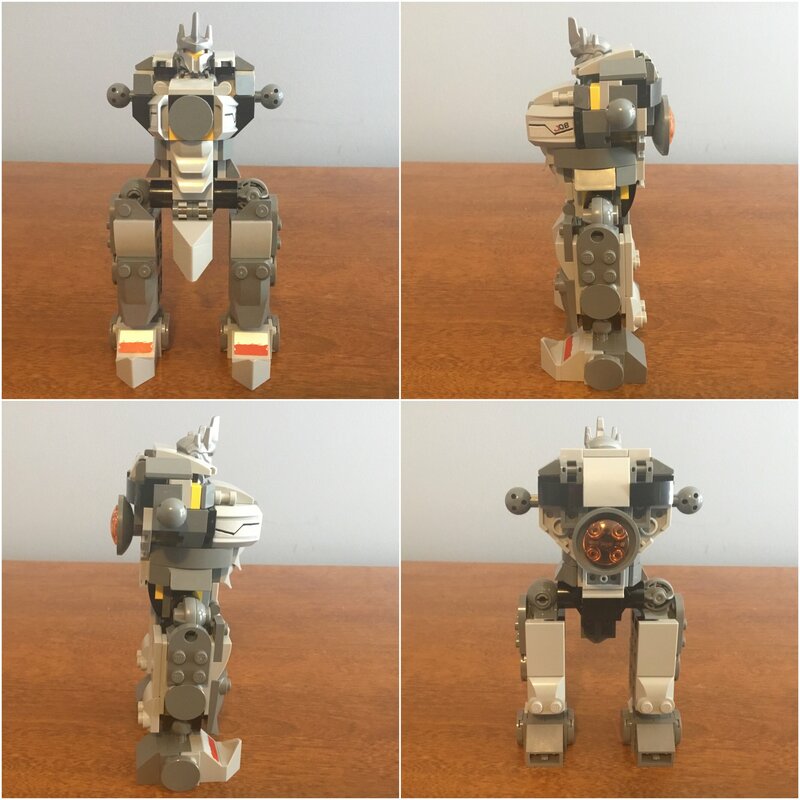 The knees, much like the Fire Mech, are static and aren’t even “bent”. This isn’t actually as annoying as you’d think, mainly because Reinhardt isn’t that hunched of a character. He is mainly light gray, with dark gray for a secondary, and red, yellow, and black accents, which are surely a reference to the German flag, as Reinhardt is notably German. I really like the back booster on this, the orange is accented by the black piece in front of it, give it a nice color. The back as a whole isn’t as smooth as Reinhardt’s armor tends to be, but it doesn’t bother me. The chest sticks out a lot, which is accurate, and the design is genius to give it the smooth, layered feel. With Reinhardt complete, I should probably actually talk about the character. 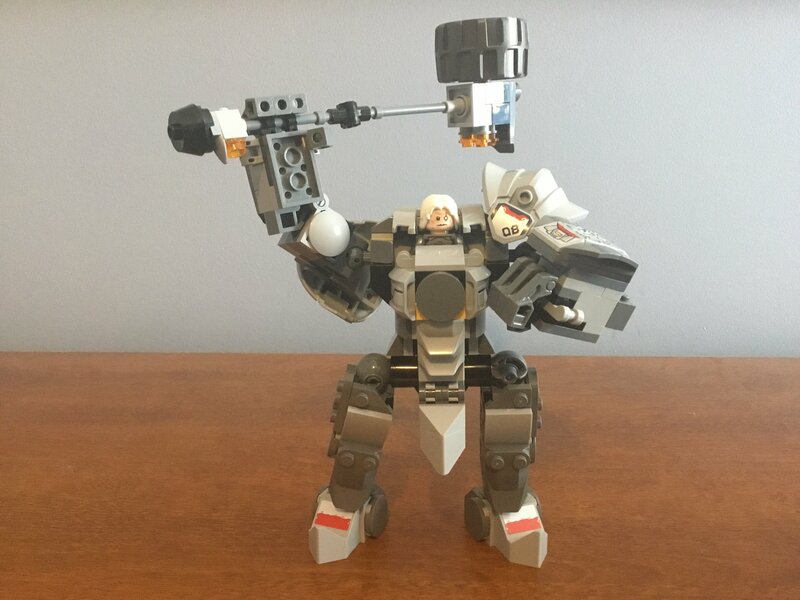 “So, who is Reinhardt?” an unknowing LEGO fan may wonder. 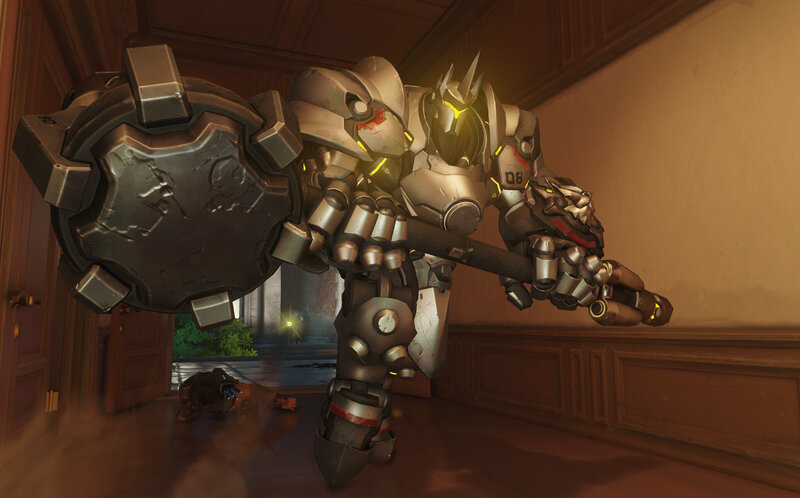 Well, Wilhelm Reinhardt was an original member of Overwatch (think Avengers, where he’s a sane Hulk with a hammer and German accent), but before that, he was a Crusader. The Crusaders are essentially super-knights, or special forces that don heroic armor and wield might hammers, literally rocketing into battle. In a single fight, Reinhardt lost his friend, ego, and eye, as can be seen in the “Honor and Glory” short, which I highly recommend (It’s my second favorite short). 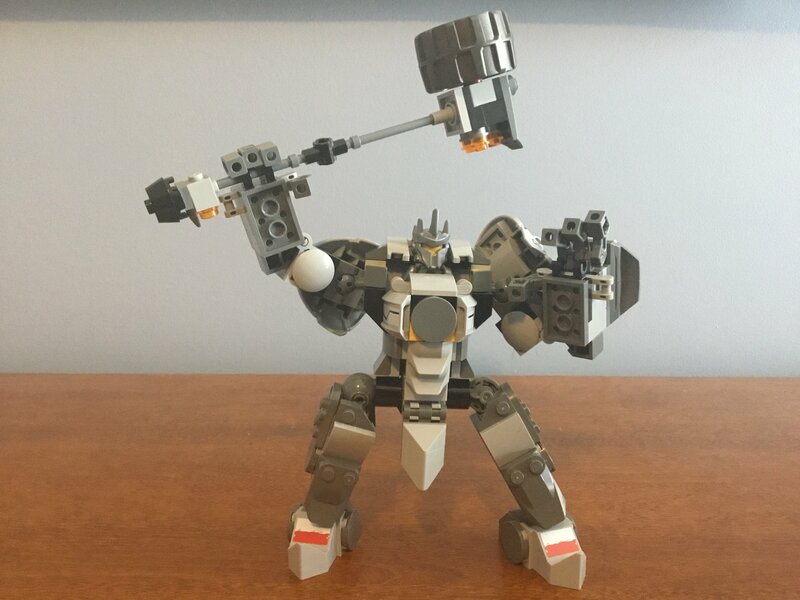 Joining Overwatch, Reinhardt brings his lovable personality and drive for battle just as he brings his massive shield (which is, sadly, not included in the set) and amazing rocket hammer. That’s honestly about as much as I know about him. Oh, because he saved Torbjorn’s life, he got to name the dwarfish Swede’s daughter Brigitte! The shoulder armor, while a cool piece with accurate details, is weirdly hinged, so they can look really strange if not reverted to their proper positions. However, this poseabilty allows for the arms to be reached behind and still look great, so it’s a necessary oddity. The elbows are not as excusable. They each use two hinge pieces, which are not that strong in the first place. Even then, they vary in strength, so you'll need the strongest two as the arm you want to carry the hammer. 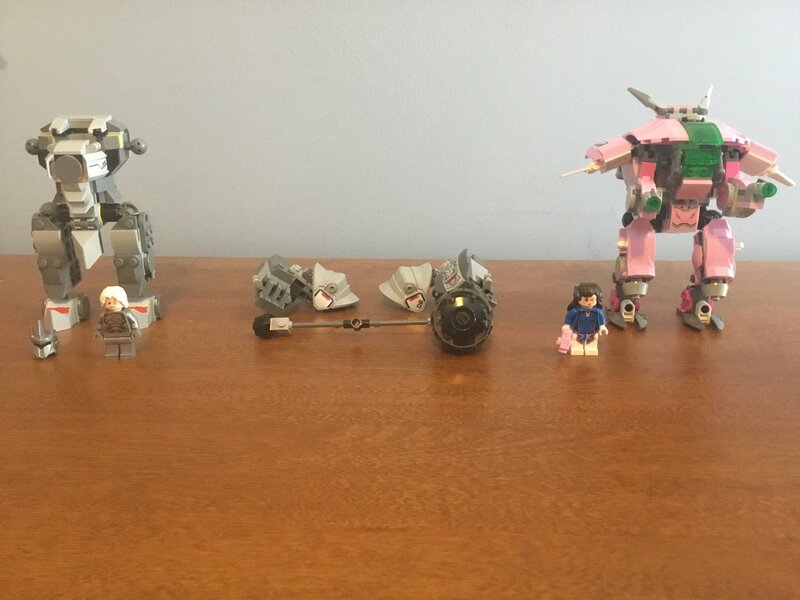 They are built in a way that each arm is constantly bent. This is actually quite handy, as it gives said limbs more a more dynamic default position than straight out. Finally, the hands. They are essentially just recolored standard mech hands, with the three fingers and the thumb, but these also have clips on each hand to allow the hammer to be held in either. Okay, I like the hammer. A lot. 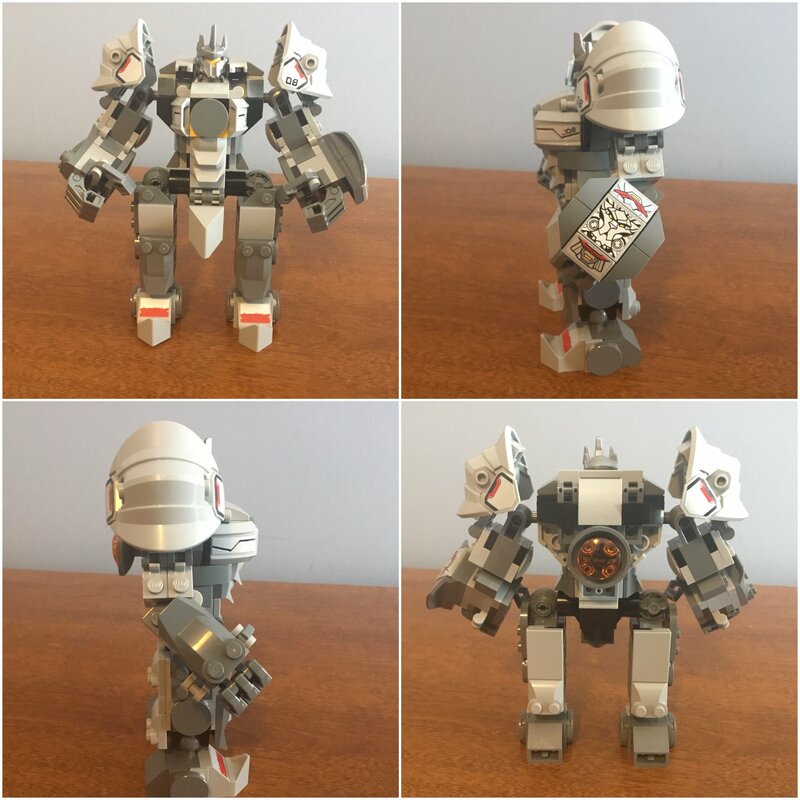 It is very accurate, has nice detail and build, and fits its purpose. The wheel and gear (Bionicle remains!) 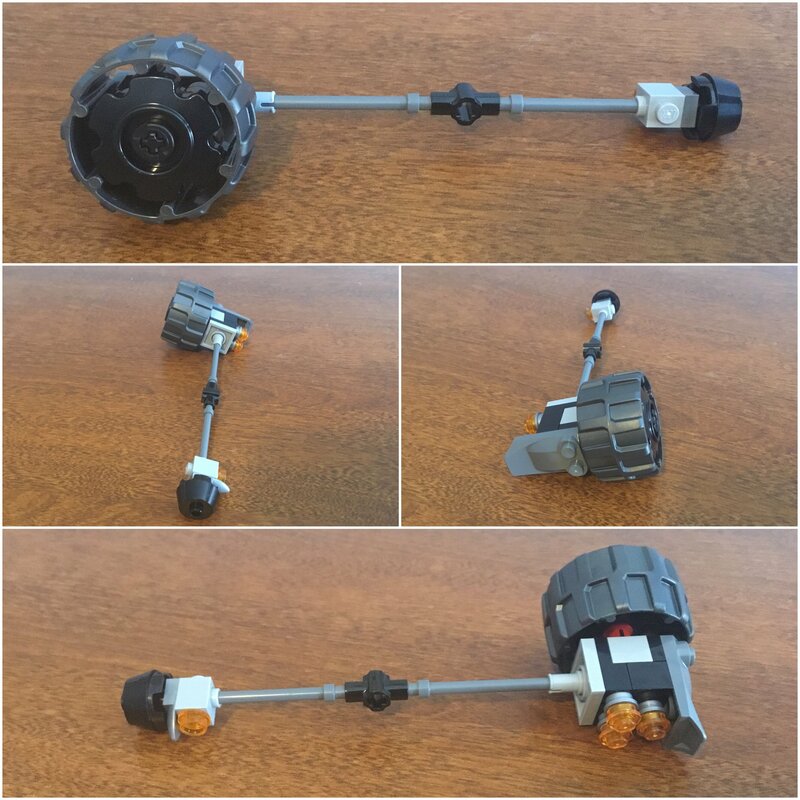 each turn, the former much quicker, and the bottom part can be removed and shifted to build Mini-Hardt’s hammer. 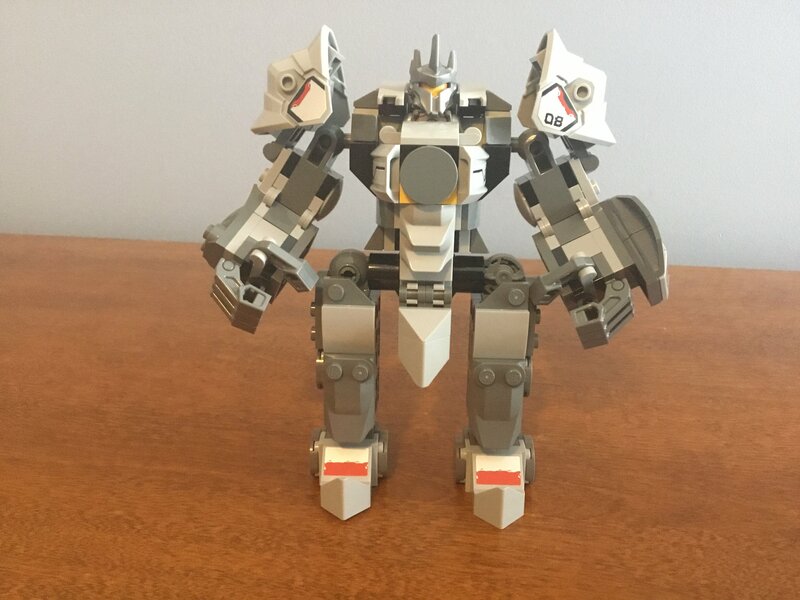 It’s pretty neat, though I much prefer the big Reinhardt. The hammer is actually too heavy for the loose joints of the elbows, so the play feature may be a little low. I could be wrong, but the Crusader armor is just that: armor. Reinhardt is a big guy even without the armor, but no bigger than an Axl fig, I’m pretty sure. So the fact that his set should be classified as a “mech” is a little overkill. However, this is probably the best choice LEGO had, and he’s a great mech for it. And, (excluding M.E.K.A.) he’d be the character I’d want at this scale. And this photo just shows off the poseabilty. 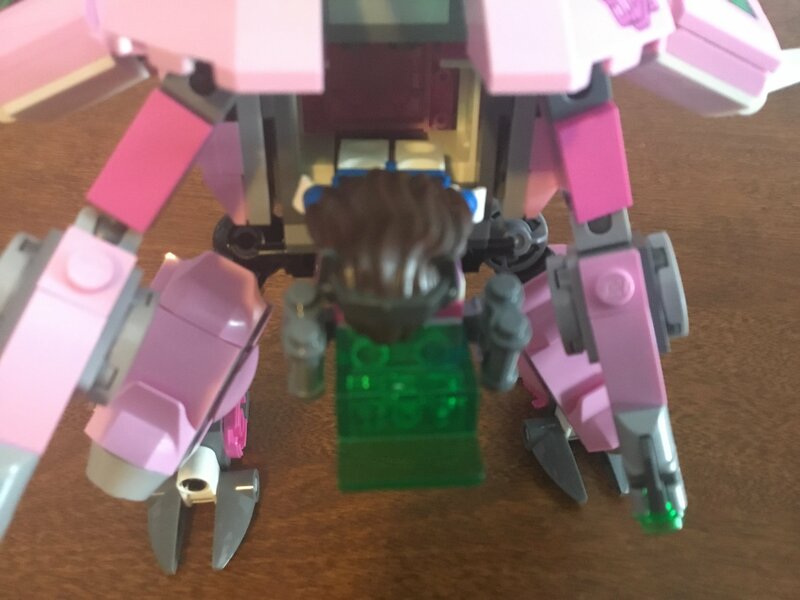 In all, excluding the head, Reinhardt has about 20 points of articulation, including his ankles, legs, “skirt,” the lock that holds the minifigure into place, each shoulder, each armor on the shoulder, the elbows, and eight fingers. Now, bear with me, because I’m going to be a bit biased. In Overwatch, I’m 100% a tank player. 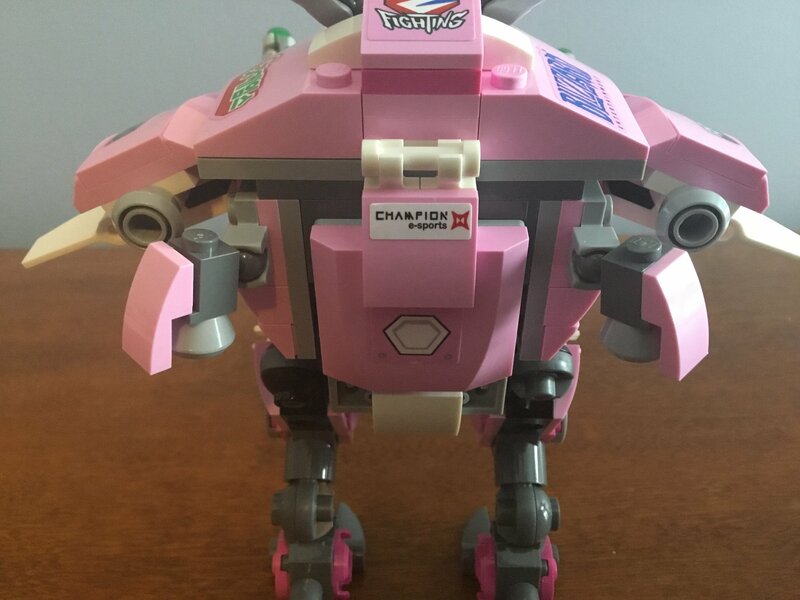 My favorite character in the game may be Roadhog, but D.Va is a close second. I do like Reinhardt, but I like his character and appearance more than I do actually playing him. 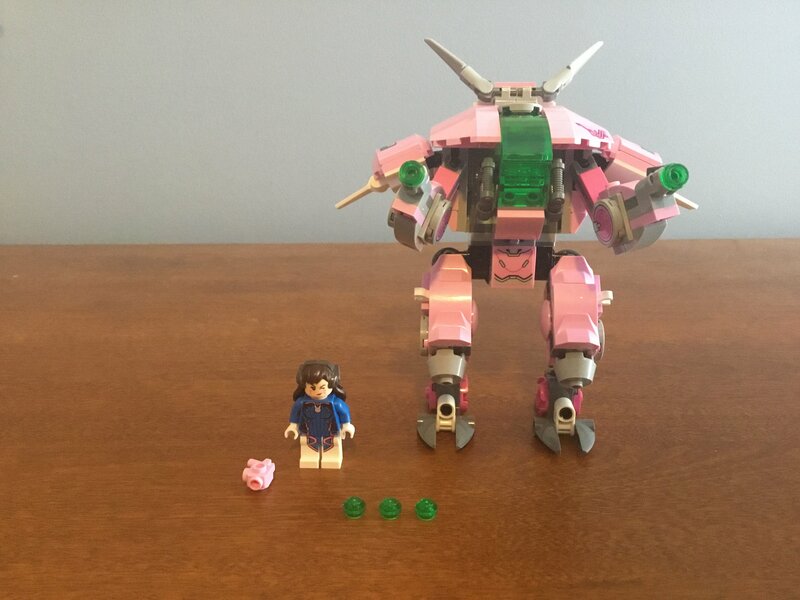 So if I sound like I like D.Va more in this set, it’d be because of this. And because it’s true. 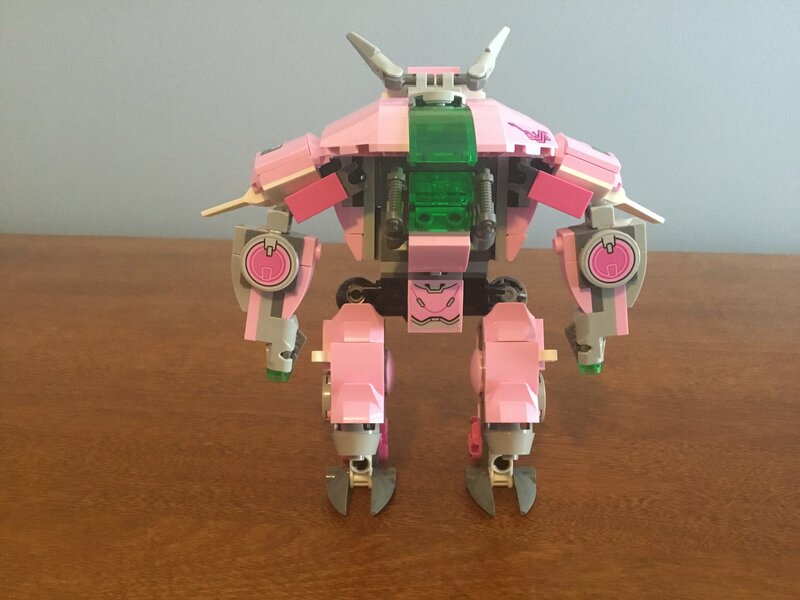 D.Va: the minifigure. 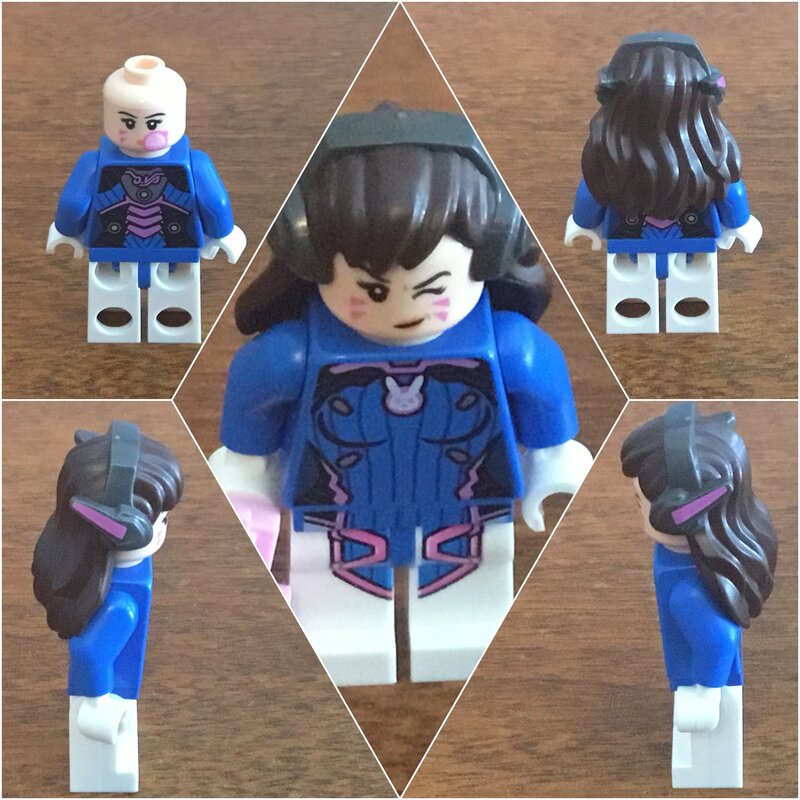 I’m so happy I bought this set if only for this minifigure, but I’d be lying if I said she was perfect. 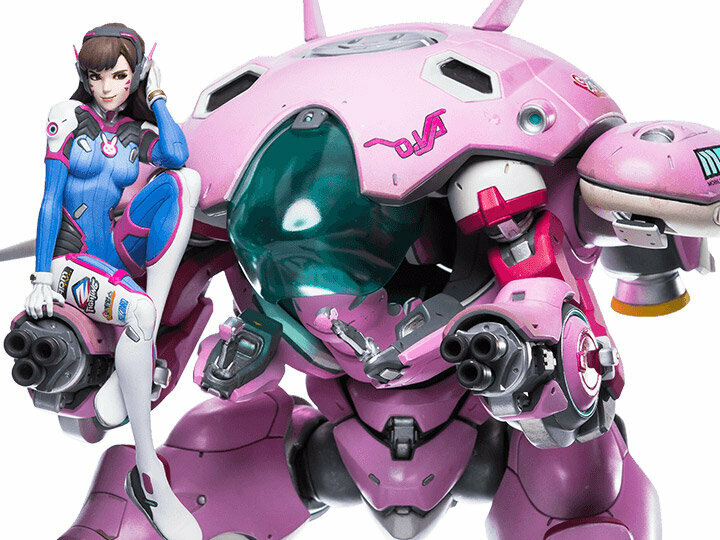 The main complaint: D.Va’s jumpsuit is not blue. LEGO may not have the right color, but I would have excepted even purple (BIAS ALERT). 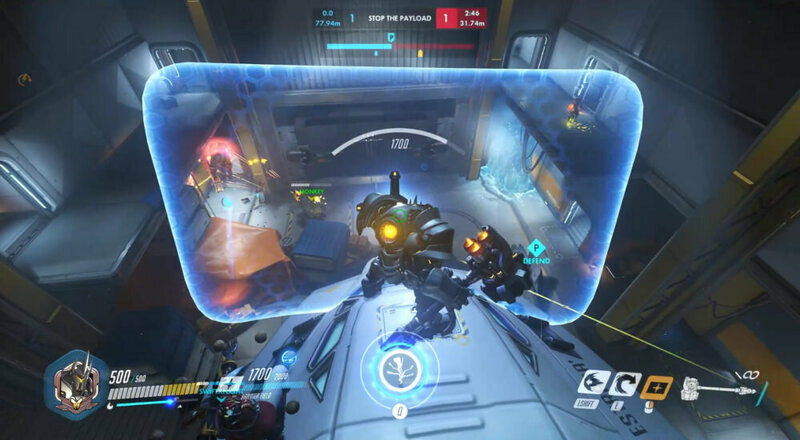 Just a picture for reference, and evidence that D.Va isn’t blue. Besides that, I would have preferred hair that is much straighter (It’s like that in the game, right? I’m not making this up, am I? ), and more expressive faces. I’ll love the wink and the bubblegum forever, but I want a straight-up happy face, or some sort of call to “Rise and grind, gamers,” or just a “game face.” Her pink gun, the new piece, isn’t actually as annoying as I was afraid it would be, and fits her pistol quite well. It also has lots of customizability. In Korea, the common threat of the Omnics (evil robots) called the “Kishon” or something required immediate action. Drones called “M.E.K.A”s were created. However, after they won, the Omnics began to evolve, learning from the greatest teacher: failure (great motivation right there, if you want to kill a ton of people because you believe machines are supreme, just try, try again). To counter this, Korea began placing pilots into the M.E.K.A.s. Hana Song, a video game celebrity, was one of them. 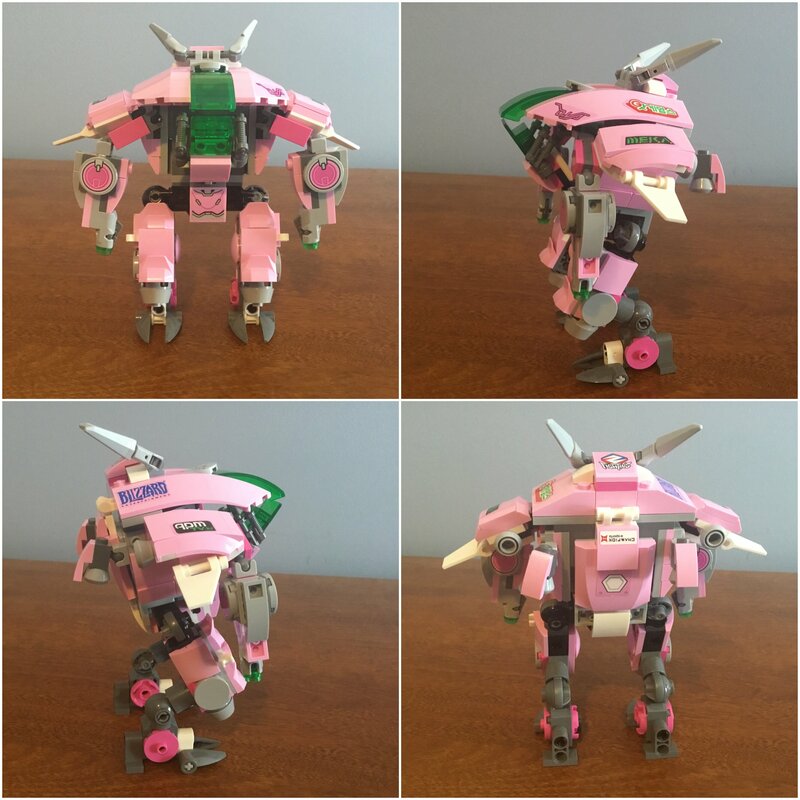 The M.E.K.A. is actually great. It’s actually completely hollow, which is good or bad, because it means it has lots of room, but also little to the inside. The top isn’t super detailed, but I really do like the stickers. The mech actually has a function, involving stud shooters that incorporate well with the model. 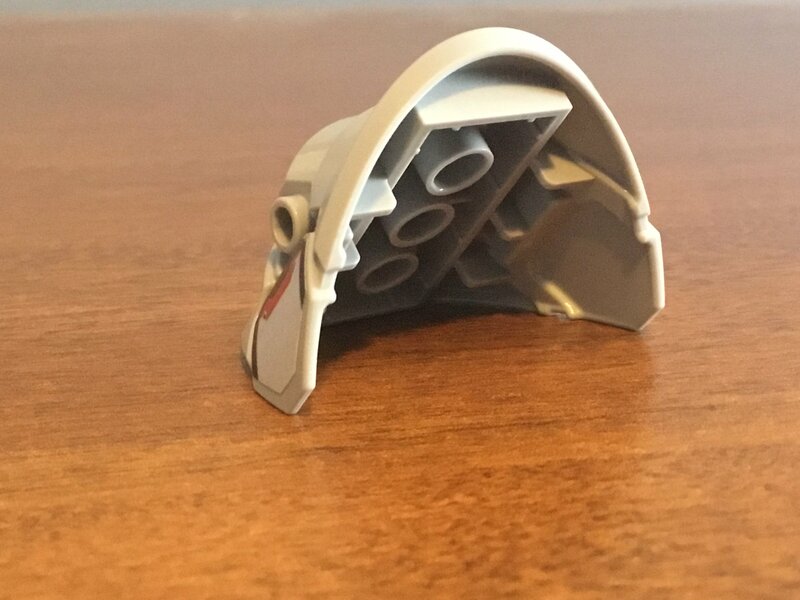 While the poseability isn’t stellar, there are little parts that you can move around, such at the “ears,” “wings,” “toes,” and rockets in the back. 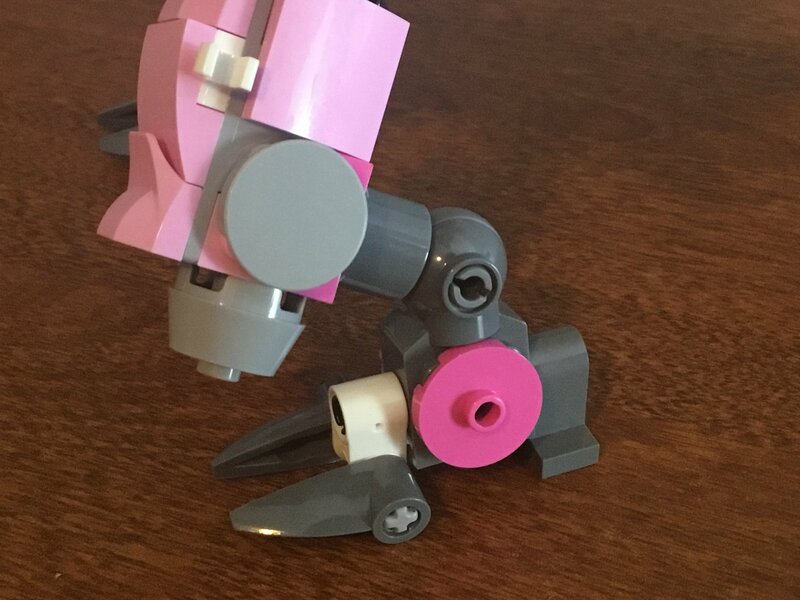 The ankles are ratchet joints, so unlike Reinhardt, the M.E.K.A. isn’t near as flexible, and balance is a lot more of an issue. The front cockpit isn’t near as smooth or streamlined as the source material, but it wouldn’t be possible to do without removing the control entirely. Finally, my number one compilaint I’d like to address: the fact that D.Va has no way to grab on. She just kind of lays there to bounce around. 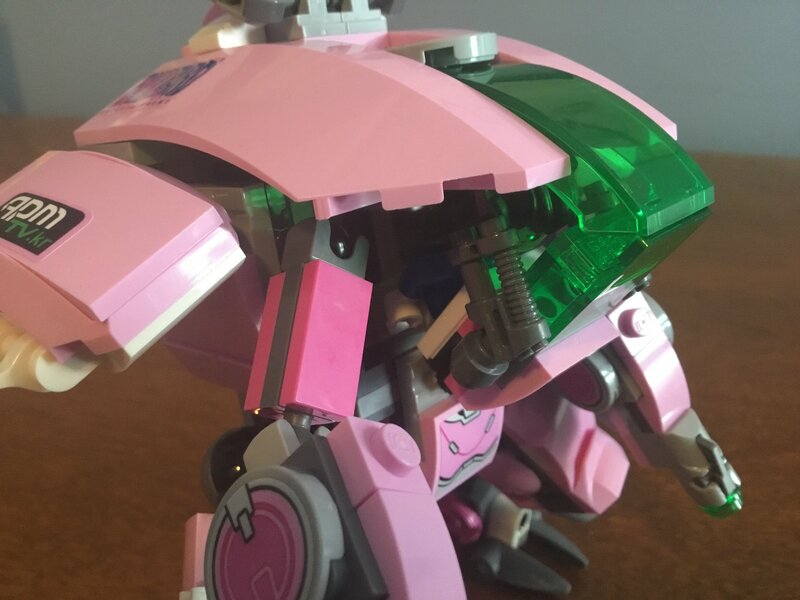 Reinhardt was hard to get in, but D.Va is hard to keep still. -The flags that make the “wings” are attached by one claw, making them hard to keep on. -The pink part of the “wings” can’t move. -Only “pretend” knees (M.E.K.A. is almost always in this position, so it isn’t too bad. EDIT: As I was taking photos, I had realized that I had the “e-sports champion” sticker upside-down, so here is the fixed version. A Nano Cola skin for the gamer. The ponytail would be awesome, and more faces is a definite +. 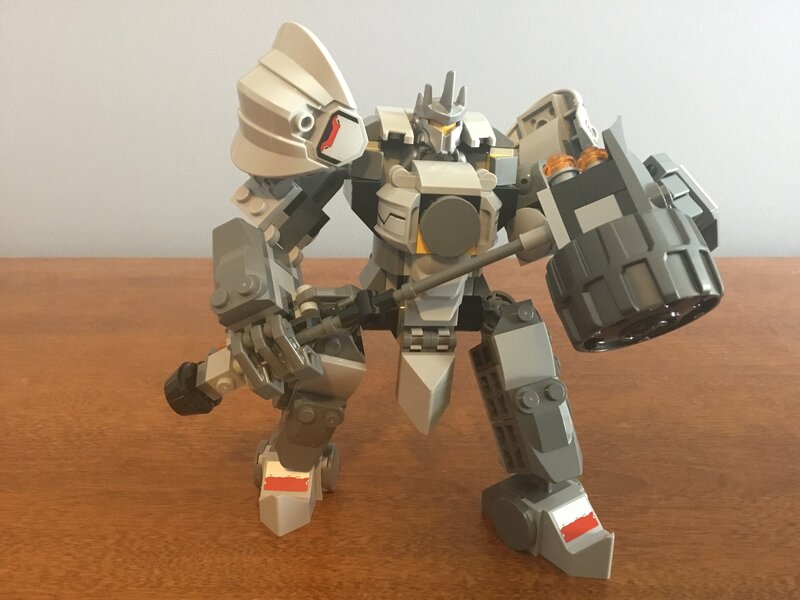 A smaller Reinhardt (maybe Balderich skin?). 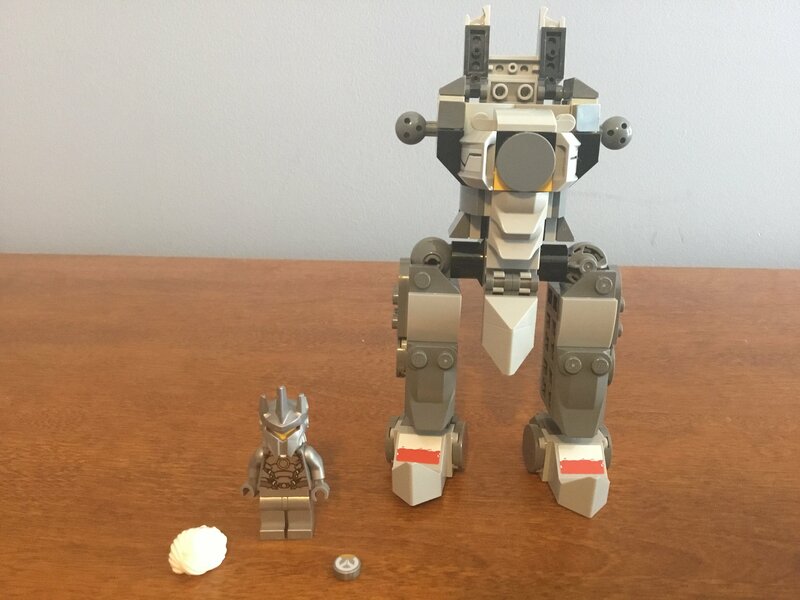 A smaller M.E.K.A. My favorite skin for it would probably be the Cruiser, but I’d settle for anything. I know, I got a little sloppy at the end. I plan to add bits more, like “What I want in the future,” and an actual summary like I promised, but I’ll wait until I have more time to kill. Until then, questions and suggestions are most encouraged. If I choose to do another review, I’m going to have to use my status on the Boards and make it a video. 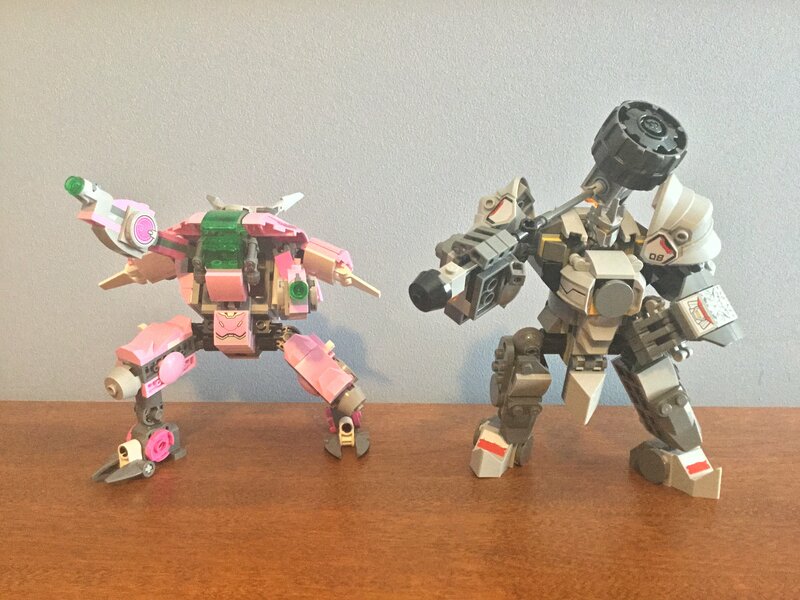 If you like mechs, Overwatch, or even just either of these characters, I’d definitely suggest buying this set. 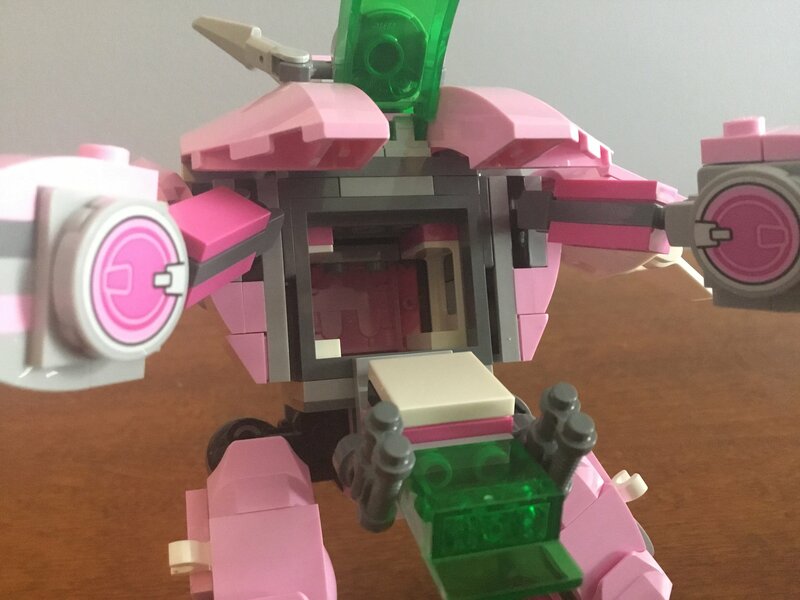 I hope we get more LEGOverwatch, mainly for Roadhog, but also because I personally believe the sets are fantastic. Sorry for the rushed end, and waffles for all. 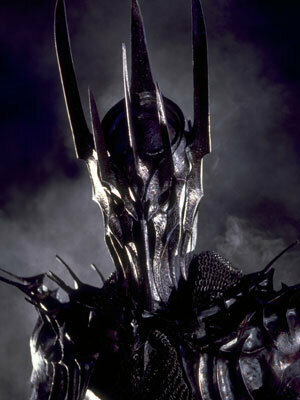 Yeah,I agree with the Sauron thing, it's really accurate...was it inspired out of there...? It's a good set, the Sauron mech is kinda cool, but I hate the backs of the boxes: they're just so LAME! Normally it should show like features and that kinda stuff, but they git us just another picture. Not an Overwatch fan. I think that’s actually the problem. For anyone who plays the game, they’d Kano the game is about the characters, not th elocutions or weapons. Primarily, anyways. 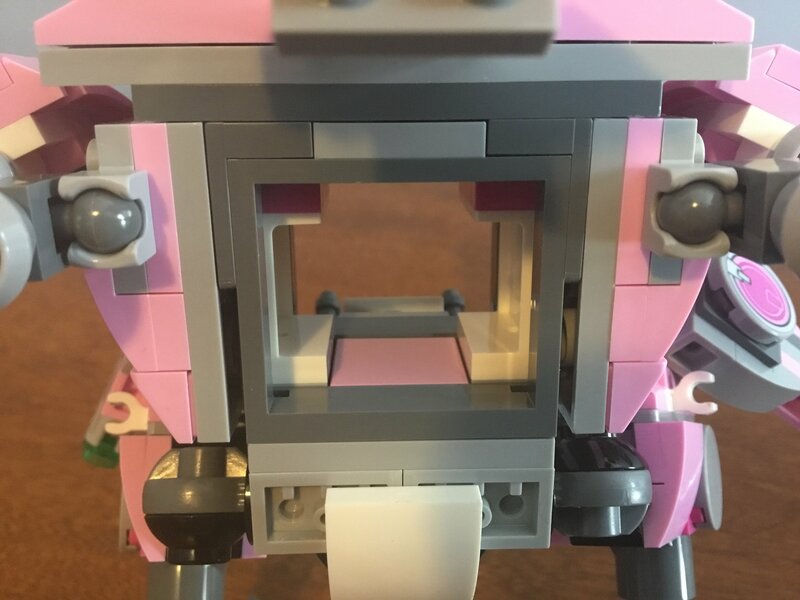 The characters are instantly recognizable and lovable, which is why LEGO places them where you can see them most. The functions are bonuses, which is why there are so few in these two mechs. 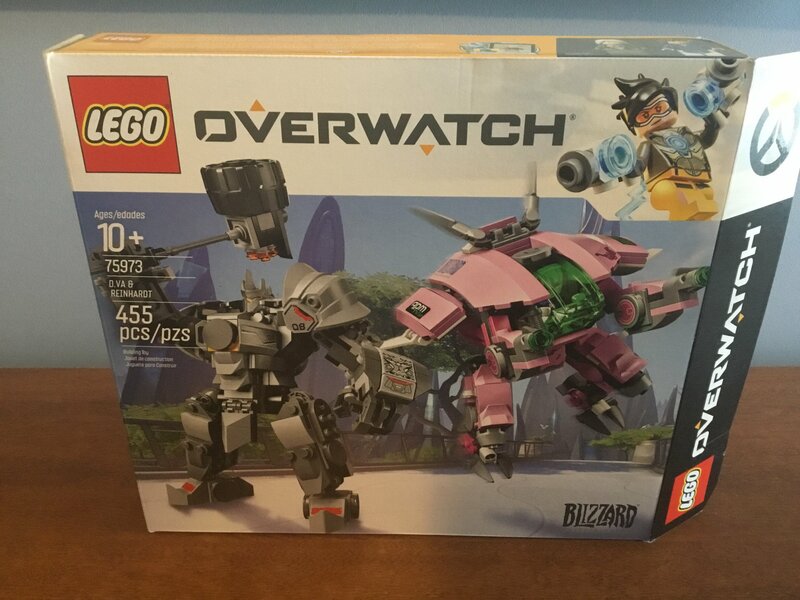 I've never played Overwatch, but this set looks interesting on its own merit. 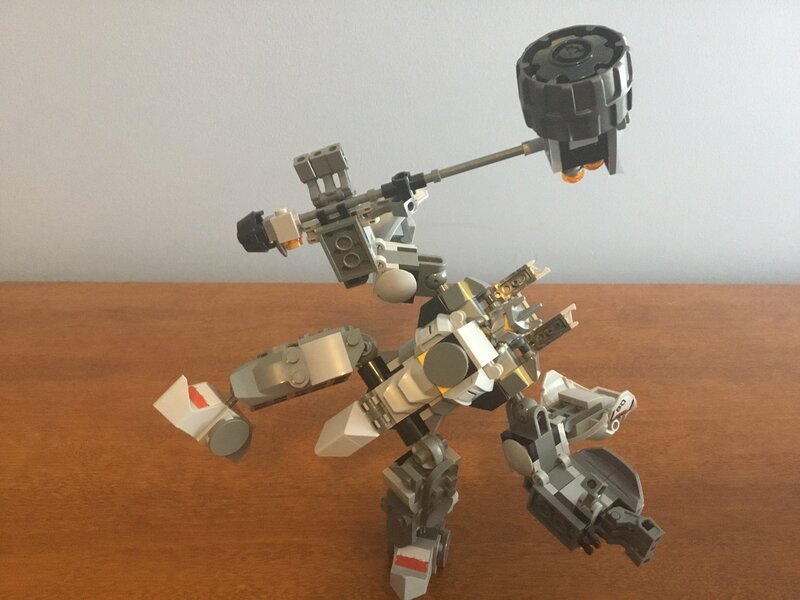 Those Reinhardt shoulderplates look like they'd work well in a constraction MOC. What does the underside look like? They are slanted with stud connections on the bottom, I can take a picture when I get home. but I hate the backs of the boxes: they're just so LAME! Exactly. Normally it should show play features or that kinda stuff, but instead we get a lame artwork which is almost the same with the one on the front of the box. Anyway, great review! You clearly put some time into making it, and it was worth the effort for sure! Just added a “what I want from future sets,” of anyone’s interested in speculation and wishful thinking. @Hawkflight, sorry I never got this to you!